Eudoxus Press,LLC is a rapid publication company publishing three international research mathematical journals. 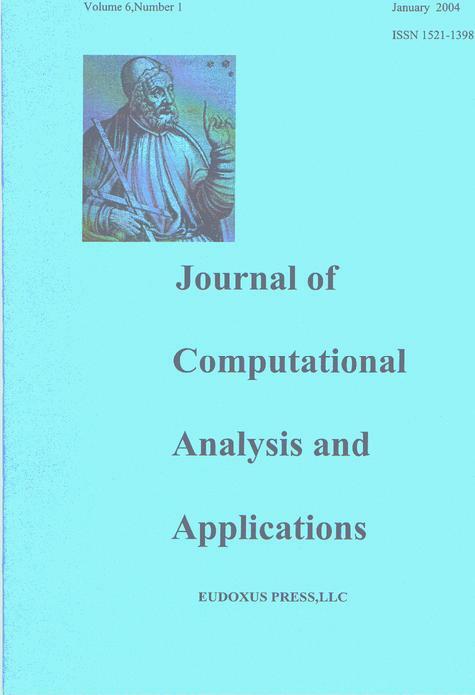 3)Journal of Applied Functional Analysis(JAFA),Print and Electronic versions. EUDOXUS PRESS SINCE 2006 HAS AN INDEFINITE TIME DURATION CONTRACT WITH EBSCO PUBLISHING TO SELL ITS ELECTRONIC VERSIONS ON LINE: www.epnet.com .OVER 90% OF US AND CANADA UNIVERSITY LIBRARIES SUBSCRIBE TO EBSCO,IN THE REST OF THE WORLD ABOUT 60%. SO EUDOXUS JOURNALS BESIDES THEIR OWN MANY SUBSCRIPTIONS ARE ALSO VERY WIDELY AVAILABLE VIA EBSCO ,AS WELL ETERNALIZED. IT TAKES 2-5 MINUTES TO DOWNLOAD A VOLUME AND IT NEEDS HIGH SPEED INTERNET. any of its files without any problem.